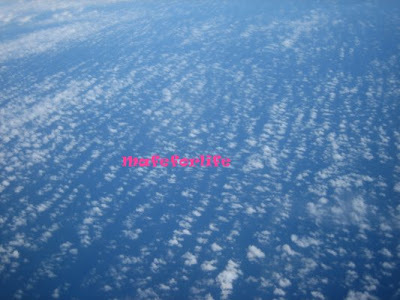 Does it looks like cotton candies? I love eating cotton candies. But that one? Can you eat it if it's a cotton candy? Well, if you want, go on with yourself :D. For me, no thanks! :D Joke! Well, it really looks like cotton candies to me. How about you? Or maybe a see waves? Huh! Got weird imagination! And I guess am weird or just the one who wrote these :D. Guess who? Am not telling! She knew who she is :D. And she's weird, I'll tell ya! Not just weird, she is paranoid, wahahaha!